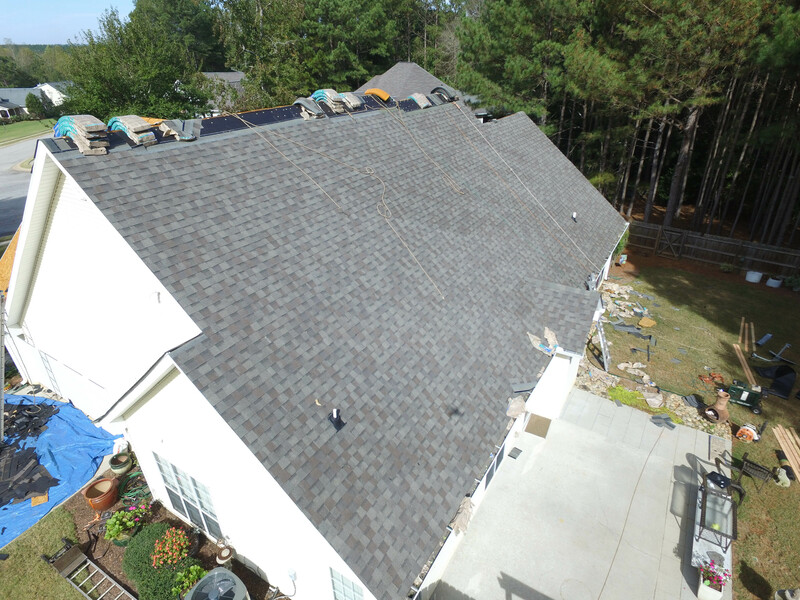 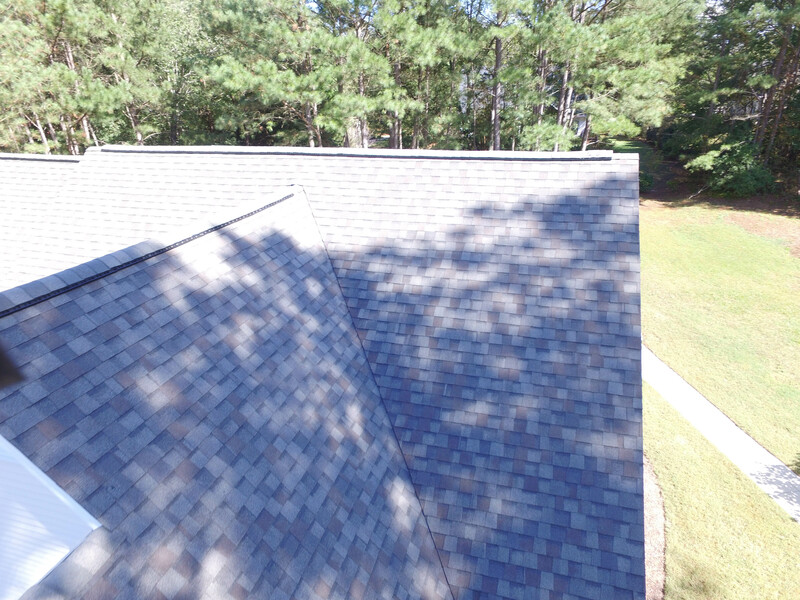 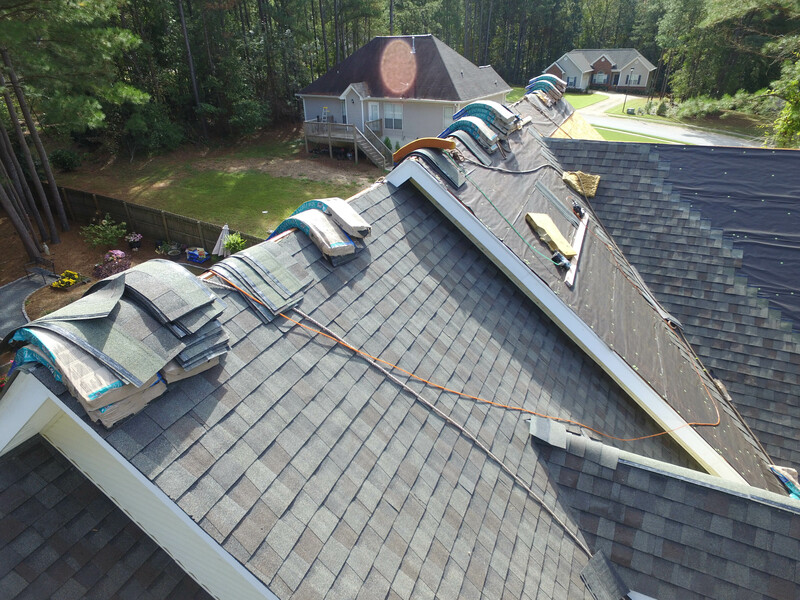 This is a complete re-roof of a house in Carrollton. 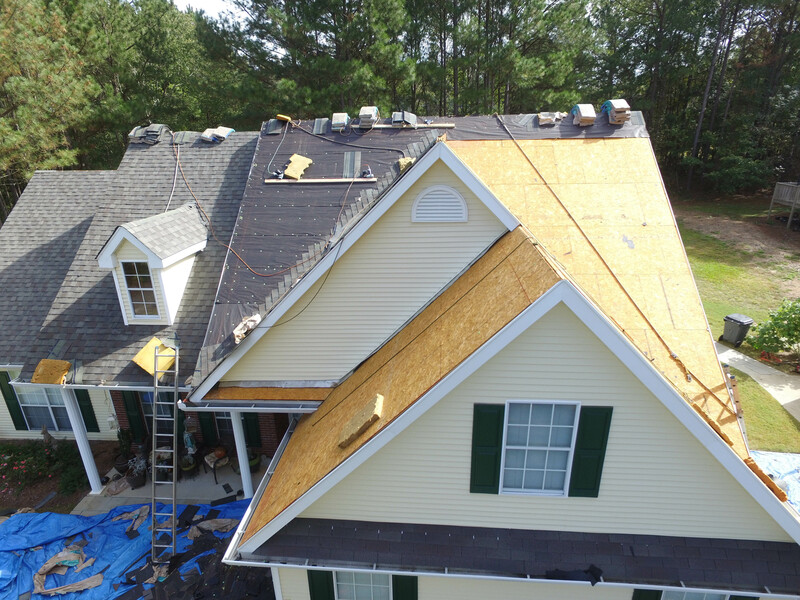 The process involves the removal of the old roof down to the wood deck. 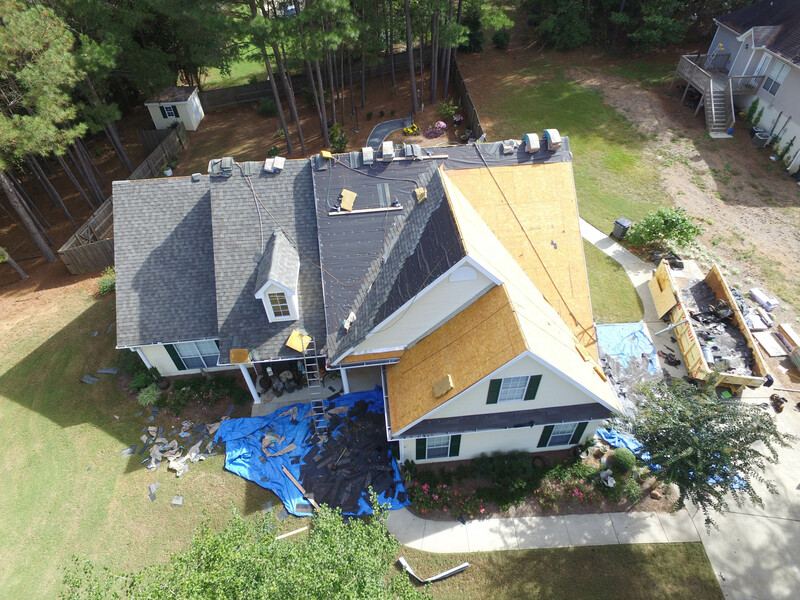 Deck repairs are made as required. 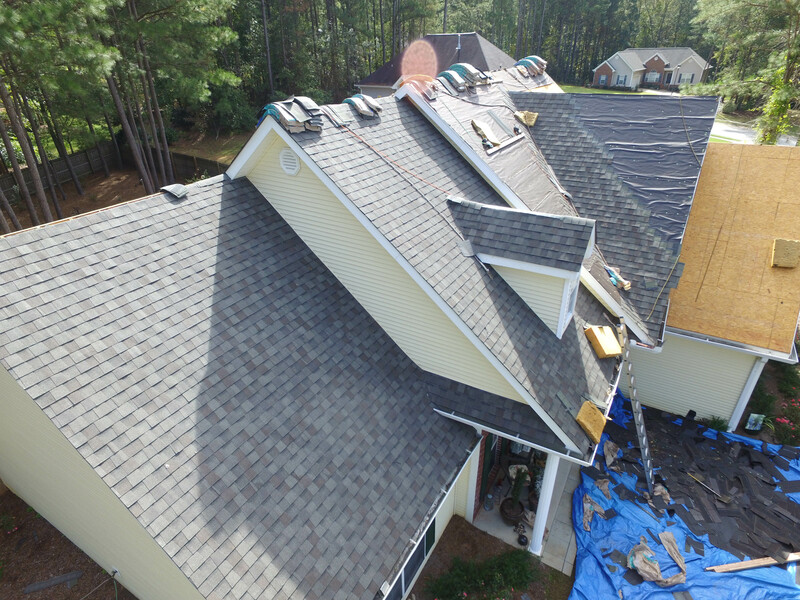 New felt is installed over the entire roof area. 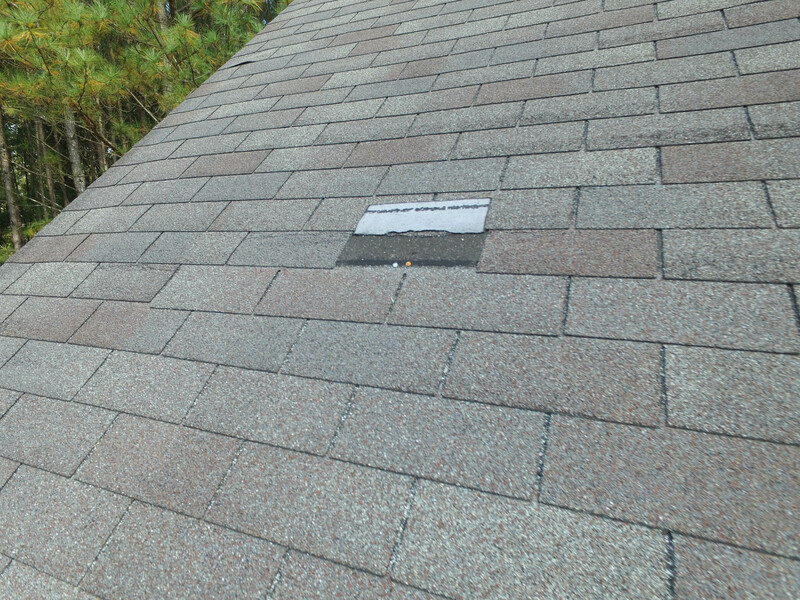 New 40 year architectural shingles are installed. 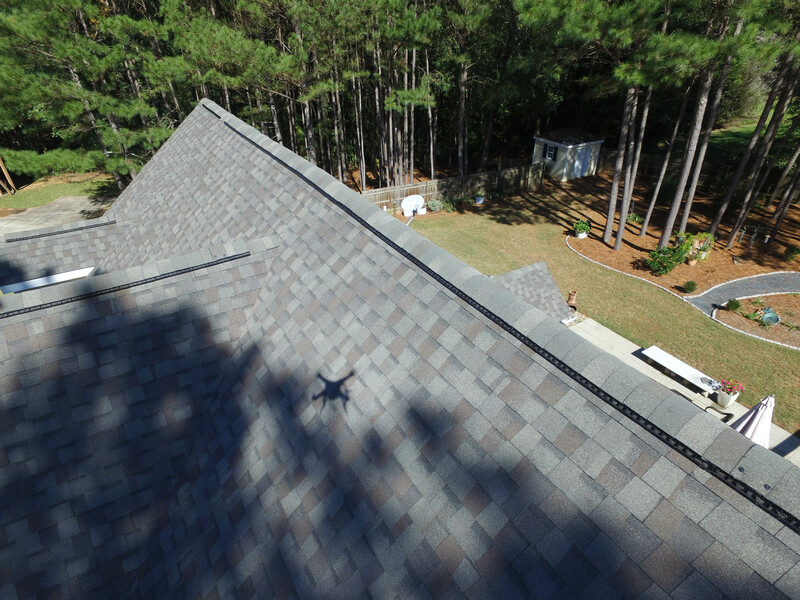 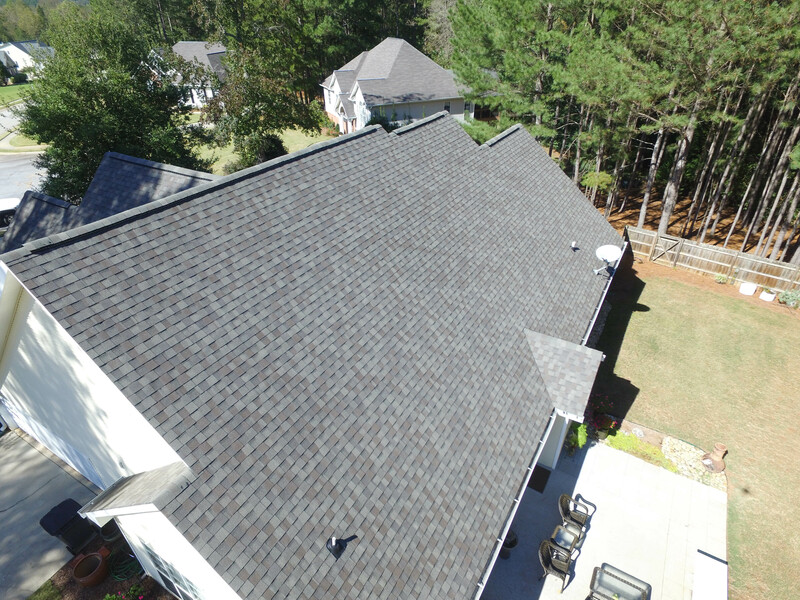 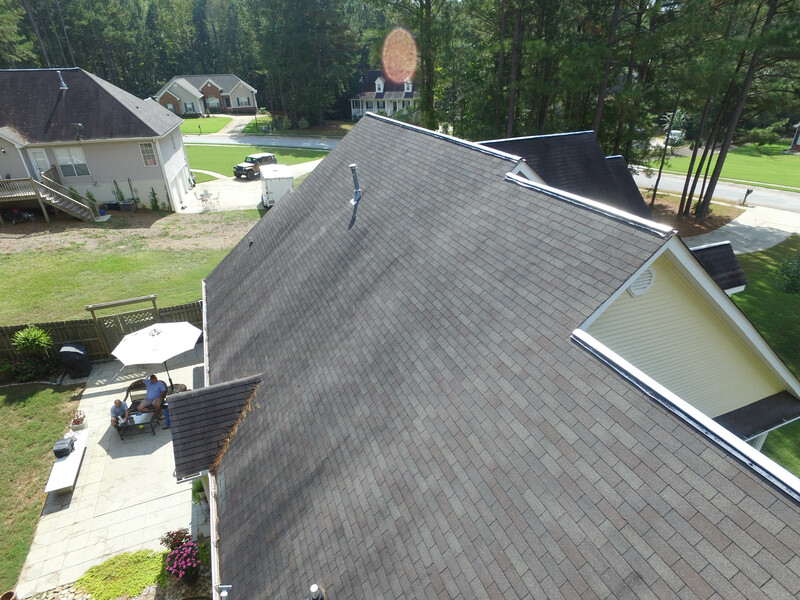 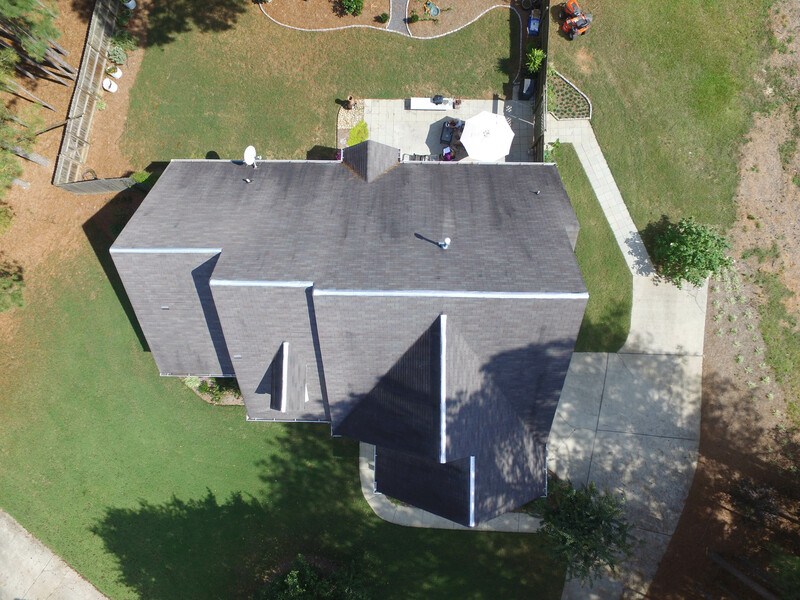 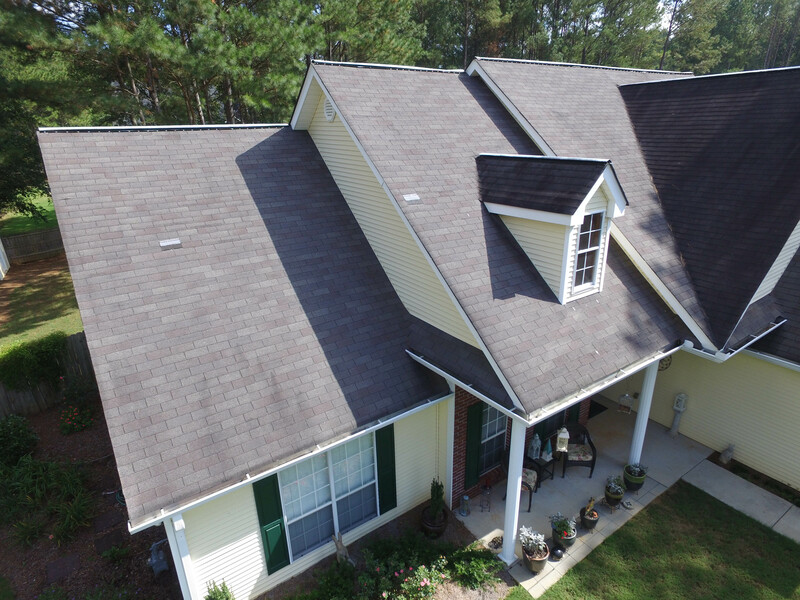 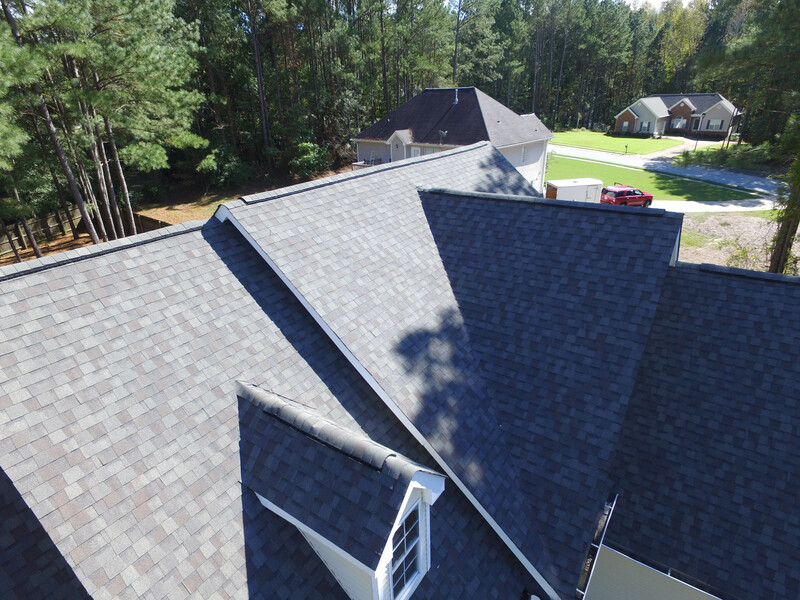 We used CertainTeed Landmark shingles in a Weathered Wood color for this project.